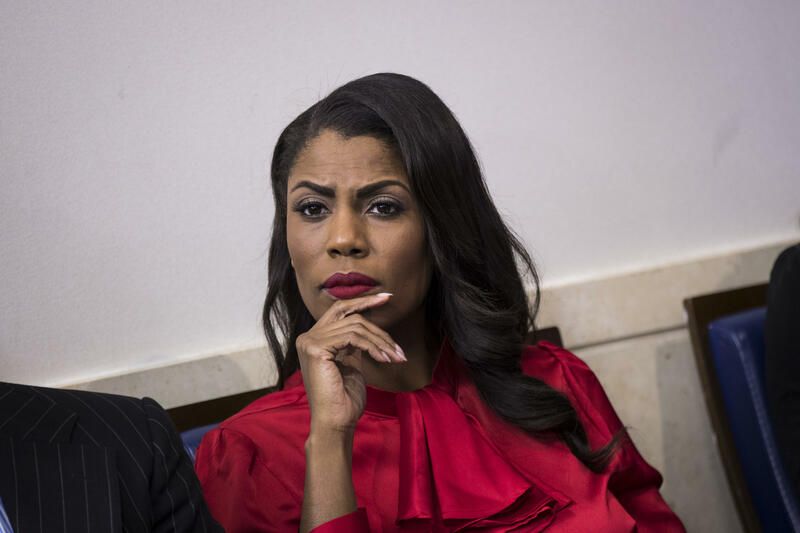 The White House says former White House staffer and reality show contestant Omarosa Manigault Newman, has written a book full of lies about President Trump. White House press secretary Sarah Sanders responded to questions about Manigault Newman's soon-to-be published book, which, according to the Guardian, contains allegations that Mr. Trump used racial slurs before and during his presidency. "Instead of telling the truth about all the good President Trump and his administration are doing to make America safe and prosperous, this book is riddled with lies and false accusations," Sanders said in a statement Friday. "It's sad that a disgruntled former White House employee is trying to profit off these false attacks, and even worse that the media would now give her a platform, after not taking her seriously when she had only positive things to say about the President during her time in the administration." The Guardian says that in her memoir, Manigault Newman calls Mr. Trump a racist who uttered the "n-word" repeatedly during the taping of his NBC show "The Apprentice," prior to his presidency, and she claims that there is a recording of his use of the slur. However, the Guardian notes that Manigault Newman does not say she has ever heard him say the word, and cites three sources who she does not name. She also does not explain why, if she was aware that such a recording existed before the election, she nonetheless supported his candidacy. In an interview with NPR on Friday afternoon, Manigault Newman appeared to contradict her own book, saying that she has heard the tape on which Mr. Trump said the "n-word." "I heard the tape," she told NPR when pressed. Earlier this week, the Daily Beast reported that Manigault Newman had recorded some of her interactions with the president in the White House. Manigault Newman, who was the communications director for the White House Public Liaison Office, also claims she personally witnessed Mr. Trump directing racial slurs toward someone else since he's been president -- the husband of White House counselor Kellyanne Conway, George Conway, who is half Filipino. According to the Guardian, in her book, Manigault Newman quotes the president saying, "Would you look at this George Conway article? F***ing FLIP! Disloyal! F***ing Goo-goo." George Conway called the claim "ridiculous," tweeting, "The allegation is not credible, and indeed is ridiculous, particularly in light of the timing of her departure from the White House—December 12, 2017. It's absurd all around." Manigault Newman calls Mr. Trump is a "racist, misogynist and bigot" in her book, according to the Washington Post. When she returned to reality TV, appearing on CBS' "Celebrity Big Brother," Manigault Newman said she wouldn't vote for Mr. Trump again "in a million years -- never." Manigault Newman also writes in her book that Trump campaign adviser and daughter-in-law Lara Trump offered her a $15,000-a-month hush-money contract after she was fired by the White House, the Washington Post reported. The campaign would have tasked her with "diversity" outreach. Manigault Newman says she turned down the offer. She also puts forth a claim in the book that when she once brought Michael Cohen into the Oval Office for a meeting with the president, when Cohen left the office, Mr. Trump was eating a piece of paper. "I saw him put a note in his mouth. Since Trump was ever the germaphobe, I was shocked he appeared to be chewing and swallowing the paper. It must have been something very, very sensitive," she wrote, according to the Post.